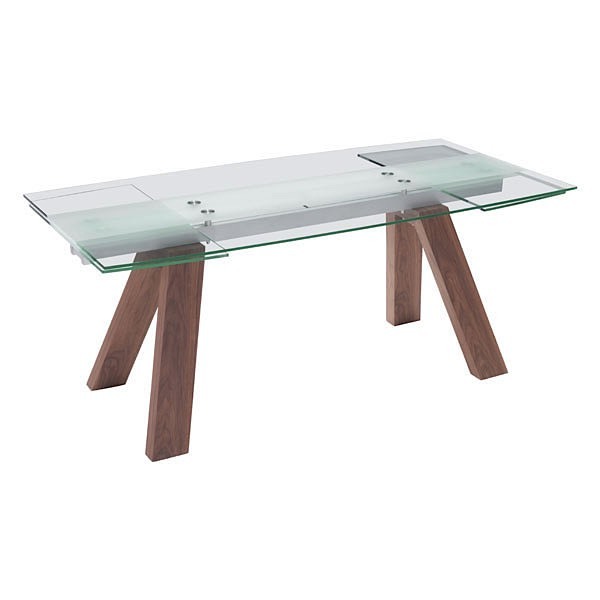 The Clarity Glass Extension Dining Table is nothing if not aptly named! 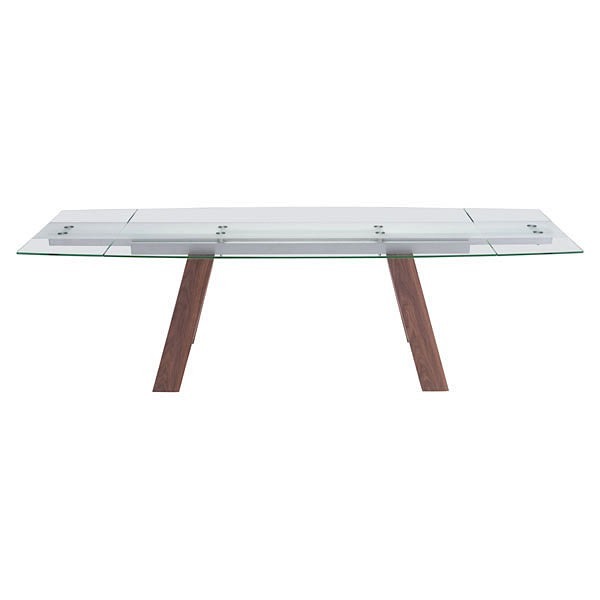 Clarity boasts a bold range of materials from its base up through its glass top, giving you a stunning design perfect for your dining room. 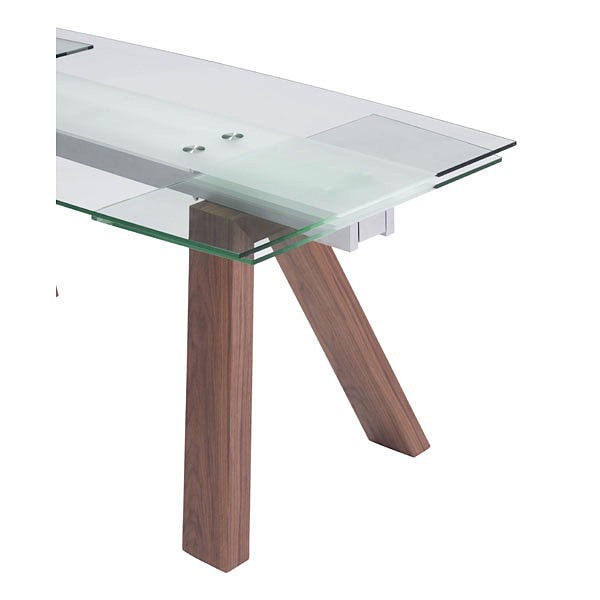 Wide-plank angled legs finished in a rich walnut are joined by a central aluminum column. 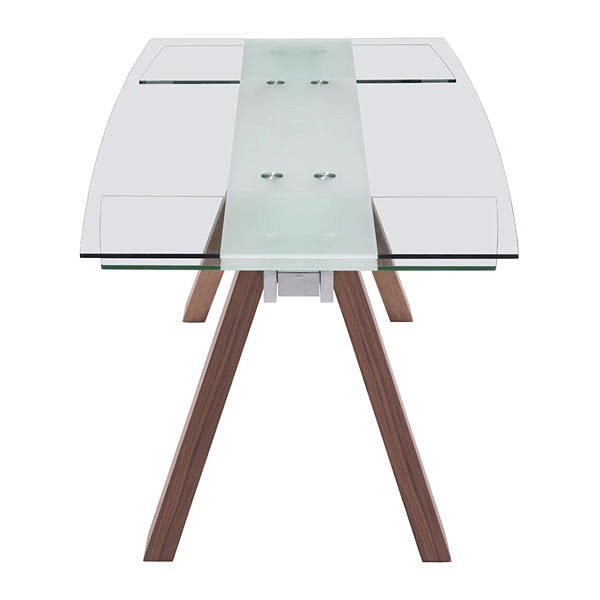 On top, Clarity's surfboard shaped tempered glass top boasts a stunning shape, accented by a frosted center (cleverly concealing the leaf mechanisms). 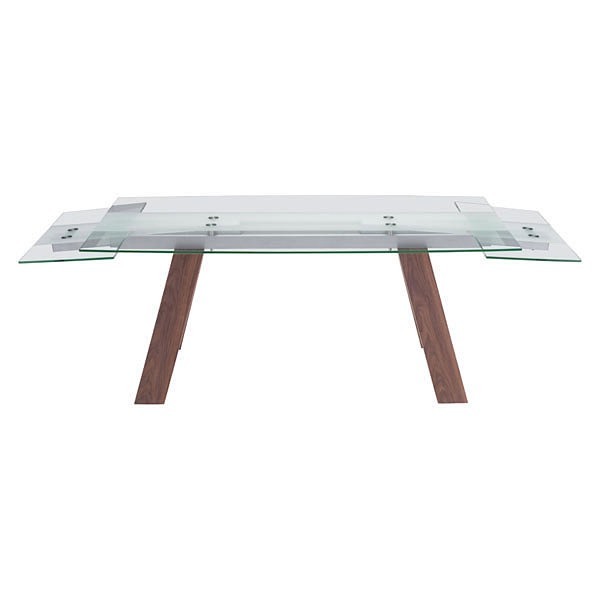 Simply engage the glass leaf mechanism to drop down and then lift to lock in place. When closed Clarity seats up to six guests comfortablyand can seat up to eight when extended. 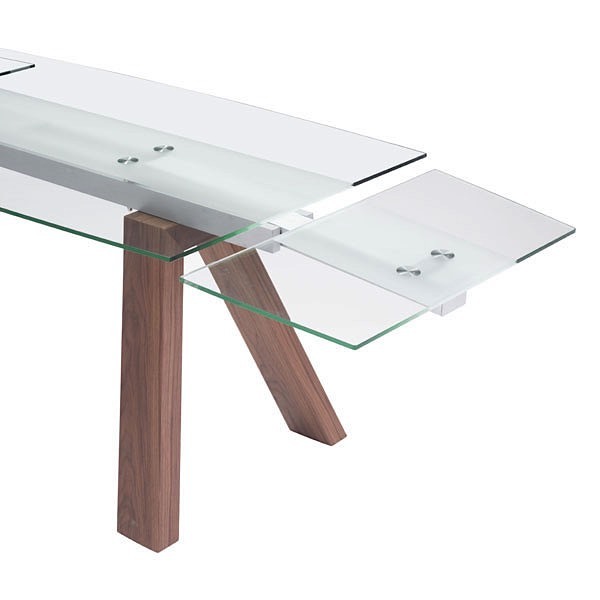 Clarity is a cool modern design perfect to give your home a sense of direction and clarity in your dining room!